First, persecution is nothing new in Iran. Secondly, they can burn every single Bible in the middle east. It's not going to stop the spread of Christianity. They can monitor Internet usage, ban the internet and anything else they view as "western", but it won't stop it or slow it down even remotely. Iranian officials should take a lesson from a long history of what Christian persecution does. God does the proselytizing Himself in closed nations. Christianity has always spread exponentially with persecution. "Strike the shepherd" and the sheep grow like Gremlins that have gotten wet. It's the only faith that ever has. Iranian officials are simply fanning the flames and everything they do will have the exact opposite effect. All this says is "God is doing some serious work in Iran". Silly leaders. Thank you for shooting the Gospel like a cannon throughout your nation. *Remember to pray for Iranian Christians. William Tyndale (1496-1536) was an early reformer, educated at Oxford, brilliant linguist and the first to translate the original Hebrew and Greek Scriptures into English. Tyndale believed it was paramount that the common person have a Bible they could read for themselves and not depend on, imperfect and prone to corruption, leaders to read and interpret it for them. He believed the people wouldn't be so easily led astray by corrupt leaders and corrupt religion if they knew Scriptures for themselves. Tyndale argued that God gave the Law to Moses in the Hebrews mother tongue, the prophets wrote in their mother tongue so why shouldn't England have Scriptures in their mother tongue? False teachers throughout the ages have convinced masses they couldn't understand the Scriptures so they should depend on the educated leaders' interpretation. This is the lie Tyndale was fighting against. Tyndale was eventually successful in the printing of the English Bible, despite savage opposition from Henry VIII and the Catholic Church. 18,000 copies of the Tyndale's English translation were smuggled into England. But in 1530, Henry VIII ordered all the Bibles rounded up and destroyed. If anyone was caught with a Tyndale Bible they were to be executed. Only two copies of the Tyndale Bible survived, but large amounts were incorporated into the 1611 English translation also known as the Authorized King James Version. 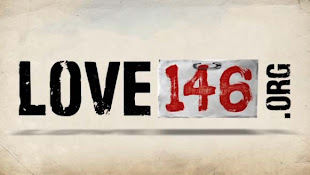 In 1535 Tyndale was arrested, imprisoned and eventually found guilty of heresy. 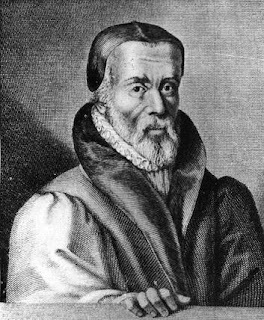 In October of 1536, Tyndale was strangled and burned at the stake. But two years later, Henry VIII allowed publication of the English Bible for select people of rank in England, but reading it out loud was forbidden. 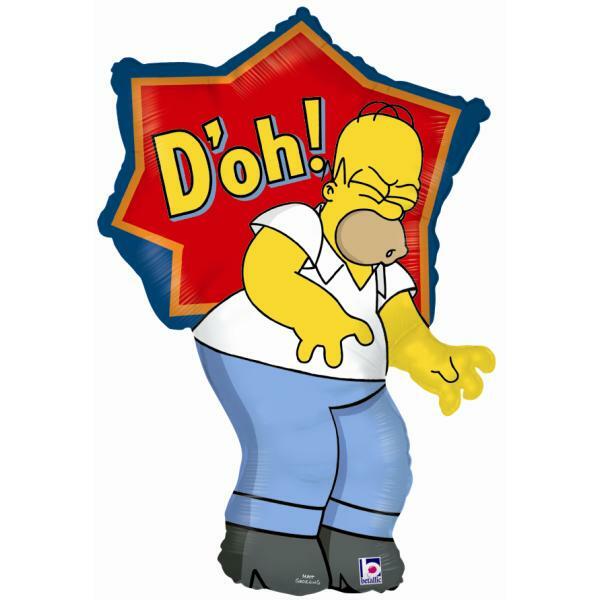 I heard a Pastor say once "We test the temperature of our bath water before getting in, but we don't test what we're being taught from the pulpit." Because of Tyndale, we have Bibles today that we can study for ourselves and always test with Scripture what we're being taught. Recommended reading: "William Tyndale, The Obedience Of A Christian Man"
This warning in Scripture is telling us to be diligent in guarding what we allow into our lives because we are so prone to wander away. Whatever we allow in is what will come out. Garbage in, garbage out. We live in enemy territory, a world that is increasingly becoming more wicked and is under the dominion of Satan. The wolves have crept into the church and are not sparing the flock. There's one area we have to be on guard against. An area that goes largely unnoticed...Music. I'm not talking about what's played on the radio or MTV. That's the world. I'm talking about what we regularly hear in church. Music itself has astounding physical effects on the body and brain, both negative and positive. 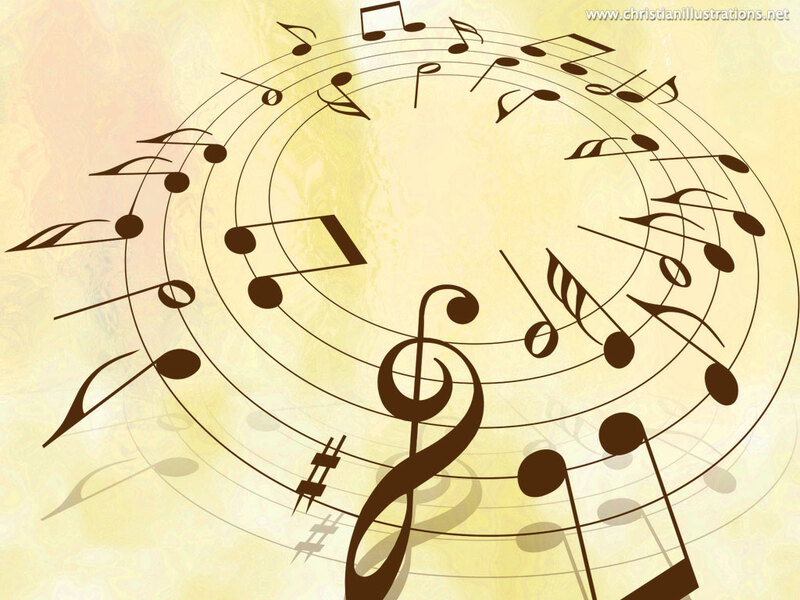 Music combined with lyrics has even greater effects. I'm not trying to be a downer on music. I love music...all styles. I'm still young and grew up in this contemporary culture. I love playing all types of music at home and singing along as I clean or cook or driving in my car. I was raised on music from middle eastern to heavy metal, but music and song has such profound effects on, not just people, but all of creation from plants to marine life, it simply can't be ignored in church worship. We're taught as children the foundations of reading, writing and arithmetic through singing. Singing lyrics, whatever they may be, is like the German autobahn to our memory storage. Advertisers use music and catchy lyrics regularly to sell their product and it's highly successful. We sing songs to kids to teach them basic Bible principals. The tone and pace of music has strong emotional, physical and mental effects. Music has been used in almost every area of life from generating health in hospitals to fighting wars and weakening an enemy. Metallica was a favorite used by the US military against the Iraqi army in Kuwait. 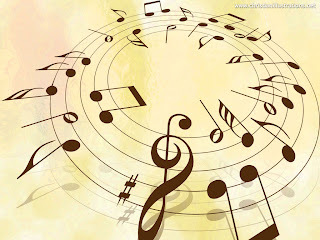 Music and singing is important to God. The book of Psalms is a book of lyrics set to music and sometimes very specific music. Just studying Psalms, one can learn a great deal about God and His attributes. That's no accident. God created song. He knows better than anyone the effects it has on His creation. He purposely inserted vital aspects of who He is into the Psalms for us to sing which puts His attributes front and center and onto a fast track into our minds and hearts. We also have to remember that Satan was the worship leader in Heaven. His entire being centered around music and leading the worship at the throne. Therefore, he also knows the deep and profound impact music has on God's creation and uses it powerfully to his advantage. Through music he is able to corrupt, twist, distort and plant all sorts of seeds that run contrary to God and to promote his own sinful philosophy and mindset on man. Just as God uses music to bring man closer to Himself, Satan uses it to pull man away from God. We often assume that if songs are being played in church then they're perfectly acceptable to God. We assume if a band has a Christian label or alludes to Christ, it's perfectly safe and honoring to God. We often assume we need styles of music that's relevant for today and reflects the culture to attract the unbelieving culture. We assume old hymns are boring and have no place in post-modern times. But just as recognizing false doctrine being preached from the pulpit is paramount to our well being, growth and service to God, so is recognizing it in hymns and worship songs. Heresy has no greater fast track at infecting and demolishing the flock like music. Just because someone is a musician, member of a church, can get a crowd going and can belt out a tune does not qualify them to be a worship leader. Just because someone produces music under a Christian label doesn't mean they're acceptable and should be embraced by the flock. Worship should and must be based on sound Scriptural teachings and the leaders should be theologians for the very reasons mentioned above. What has infiltrated the church is a cancer and it's so rampant and widely accepted that we give very little thought to it because we give very little thought to music in general. For further reading about the dangers in contemporary worship music and popular Christian artists see also Bible Guidelines For Christian Music. Have You Trusted In The "Sinner's Prayer"? Declaring war on the "Sinner's Prayer"
Praying a prayer one time and expecting salvation based on it is sloppy evangelism/easy believeism, heresy and sending many to hell. There are several components one needs to examine to see whether they are truly saved. Looking back to one prayer one has prayed at some point in their lives and trusting in that is dangerous and self deceit. The fact that so many leave a church after praying that prayer and return to the world is strong and terrible evidence the prayer is useless. It's also not found anywhere in Scripture. Many preachers don't preach repentance. They appeal to masses based on the coveting nature already in man. They promise hearers success, money, cars, homes, "your best life now" then they boast in the number of converts. The problem is most, if not all, of those "converts" are still just as worldly as when they walked into the church. They've taken goats and are now simply calling them sheep while ignoring the fact that they still look and act just like goats. Preachers are going to pay for that. There is no evolution in the sheep fold. Either regeneration has taken place or it hasn't and the proof is in the fruit. 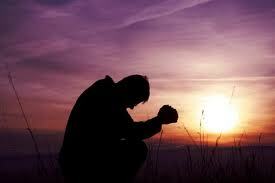 Salvation and regeneration is a work done only by God not man and certainly not by a single prayer. Churches claim there's a lack of discipleship and set up multi-million dollar programs and all the evidence shows they don't work because regeneration never took place. Discipleship is important, but only after there has been a work of the Spirit. Regardless of discipleship in a church or not, a true convert will bear fruit because of the Holy Spirit. They call these goats "Carnal Christian" while Scripture calls them unbelievers. For further reading, you can check out I Never Knew You. Luke 16:19-21 “There was a rich man who was dressed in purple and fine linen and lived in luxury every day. At his gate was laid a beggar named Lazarus, covered with sores and longing to eat what fell from the rich man’s table. Even the dogs came and licked his sores." When we think of the rich man and the beggar, Lazarus, we tend to focus on the aspect of the rich man ending up in hell. He could see, was fully conscious, could hear, could think, reason and could feel. Lazarus often gets past over. As if he's only the counter weight to the rich man's plenty. Lazarus was poor. It appears he was in such dire poverty due to leprosy, which was a common ailment back then. He was forced to beg just to survive. So down, so low was Lazarus, he yearned to have the scraps from the rich man's table. Even the scraps, that were discarded and thrown away, were far better than what Lazarus was having to live on. To make matters worse, Lazarus was further humiliated and beaten down by having the local, roaming dogs surround him to lick his open sores. Beggars weren't treated kindly and were often viewed as having committed some grievous wrong against God to be in such a state (John 9:2). The people assumed he was under a curse and treated him that way. Like most of humanity, we keep our eyes fixed on the shiny objects in front of us, lust after them and miss the real treasure the earth can't contain. 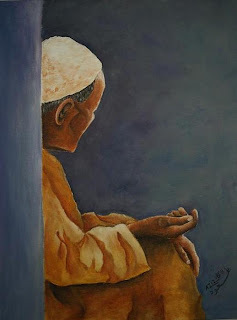 The beggar didn't inherit eternal life simply because he was poor, a beggar and sick did he? Of course not. How would the diseased, down trodden beggar end up in eternity if he wasn't in a relationship with God? He wouldn't have. Obviously, despite his deplorable circumstances in life, this man was a lowly servant of the Most High God. Despite that, he suffered far more than most of us could ever imagine. By all worldly accounts, he didn't appear to be blessed by God in any way, shape or form. Subsequently, it appeared that the rich man, was in fact, the one blessed by God. There was a much bigger picture that would reverberate throughout time to teach billions of people to come, however. In order to have that reverberation and impact, God allowed Lazarus to suffer. Lazarus may have suffered greatly in his short life while the rich man seemed to enjoy life, but in the end the roles were entirely switched. Now Lazarus was enjoying life, and not just any life, his is lasting forever, while the rich man now suffers beyond anything even Lazarus could ever begin to comprehend. Don't be deceived. Trying to accomplish your best life now means you're forfeiting an eternal life later. The rich man had his "best life now" yet, with all his riches, with all his luxury, ease and "happiness", he lacked what Lazarus had...a relationship with the Judge. By the time the rich man realized it was all worth nothing, he was already in hell. What we endure now is a vapor. It's like spitting in the ocean compared to what's to come. This life is the closest we will ever get to hell. While for most others like the rich man, this life is the closest they will ever get to heaven. How many of us in the west are suffering like Lazarus did or even coming close? Despite the conditions Lazarus lived in daily, he never turned on God. He never demanded better. He never whined or complained that the rich man lived in ease while he suffered. He lived in horrible conditions, but the one thing he did have was a treasure even the rich man couldn't afford: a relationship with the Almighty God. Having all the riches in the world is not a testimony to God greatness, love and mercy. Being a Lazarus and still trusting God and serving Him in spite of suffering is a testimony heard loud and clear by everyone. Millions of people have been won to Christ while witnessing Believers being persecuted severely and suffering in some way, but still refusing to compromise, complain or lose faith. Persecution and suffering is what made the Gospel spread like wild fire during Biblical times. Persecution and suffering still spreads the Gospel even today. If you're suffering or being persecuted then be encouraged. Be content in your situation and with what little you may have (Hebrews 13:5-6). There is a much bigger picture that goes far beyond your situation and will reach to the ends of the universe and the depths of hell. If we know God controls all things and nothing can happen without His permission then therein lies our comfort. Who do you have in heaven? God. What can earth possibly offer you to take His place? Though you suffer, though your body fail you, though you suffer persecution for the cross, though you lose everything and everyone you love, God is your strength and inheritance. Not heaven. Not riches. Not meeting up with long lost loved ones in Heaven like a bus station. God is your treasure and strength and this world, and all we experience in it, is only temporary and a speck in eternity. Frances Chan "What are you living for?" He puts this short life we wade through compared to eternity, in a very clear and powerful perspective. This has to be the one Scripture I've seen taken out of context the most. It is widely used in churches, books, witnesses, tracts, etc., as a general call to salvation. 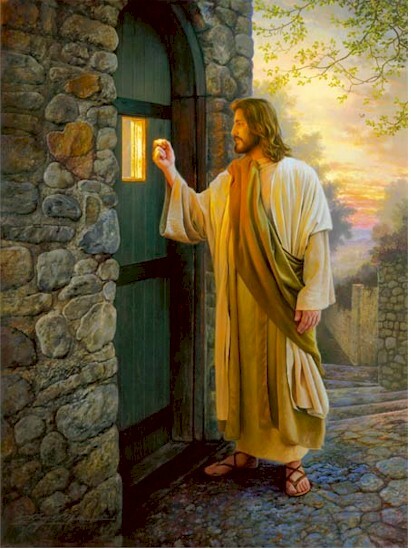 Jesus is pictured and misquoted as standing at the door of a person's heart and knocking on it to come in. As if He's on the outside looking in like the smelly kid on the playground no one likes or wants to play with or He's wanting to borrow some sugar. We are His creation in His creation that He fills (Ephesians 2:10, John 1:3). He's not on the outside. We're the ones on the outside. In that verse Christ was addressing the Laodicean "Lukewarm" Church. The modern Turkish name for Laodicea is Eskihisar. They were neither hot nor cold and because they were neither one or the other, He said, "I am about to spit you out of my mouth." (Rev 3:16) The Church of Laodicea was filled with professing Christians, but was, in fact, apostate. Not a single believer is mentioned in the letter to Laodicea. Lukewarm is not ever used in Scripture to describe any believer whose become lazy, unmotivated or depressed. It's used in regards to the unsaved who profess to be Christian. It's a metaphor of professing Christians in their lost state and self deceit. Of all the letters sent to the seven churches, this letter is the harshest of all of them. It's the only one that comes with a serious threat. It's the last of the churches and, by far, the worst of the seven. Like John MacArthur said "Some churches make Him angry. This church made Him sick." And Laodicea was and is a picture of the end times church. Laodicea was a very important city because of its trade routes. There was also a significant number of Jews there. The resources Laodicea had caused it to grow in population, strength and commercially. Laodicea was a banking center as people past through the trade routes. They were famous for their wool industry...black wool that was soft, glossy and highly desired and exported for clothing. Laodicea also had a medical school that later became famous for the eye salve invented there. All these things come into play in the letter. To a church full of apostates and hypocrites God was still showing grace and love to this unsaved, hypocritical church and giving them an opportunity to repent or they would be condemned. If there was even just one person in there who might turn, then the invitation went out. This wasn't an invitation to the unsaved as it's often used. These people genuinely believed they were saved. This was not a general call to salvation as it's often used. He was addressing them to discipline them, not as true followers know discipline, but as a means to convict them. Finally, in verse 20, Jesus was not knocking on the heart of the individual. He was knocking on the door of the unsaved church...the church of Laodicea. Christ wants into the church that bears His Name. It's not an image of Him being locked out or being unwelcome. It's an image of Him having long deserted Laodicea. He left. They didn't drive Him out like an eviction. He could have kick the door down, went in and started dishing out judgment, but He chooses rather to show compassion, patience and grace to them by returning and giving an offer. "I could demolish and be just in doing so, but I'll knock first and give you an opportunity to do what's right". If there was anyone inside, even just one, then Christ would enter the church through that person and there would be hope for it before His judgment falls. Jesus has never professed nor has Scripture ever alluded to Christ standing outside and waiting for an invitation to come into our lives. We don't choose Him, He chooses us (John 15:16). We don't choose to come to Christ. We don't decide one day we'll check Jesus out. We don't invite Him in. We certainly don't "find" Him as if He's been lost or like we're looking for Waldo. We are sought out by God. We are drawn to Christ by the Father (John 6:44) When He calls, We follow and not the other way around. Christ isn't sitting around waiting for someone to yell "Hey Jesus! I'm ready to have you in my life now! Hurry up!" We don't have it in us to seek Christ (Romans 3:11-12). He doesn't come to us and knock on hearts. The Father draws us to Him.